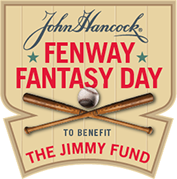 Play ball at Fenway Park on June 1 to support cancer care and research by participating in John Hancock Fenway Fantasy Day! Sponsor a patient to play or step up to the plate yourself. 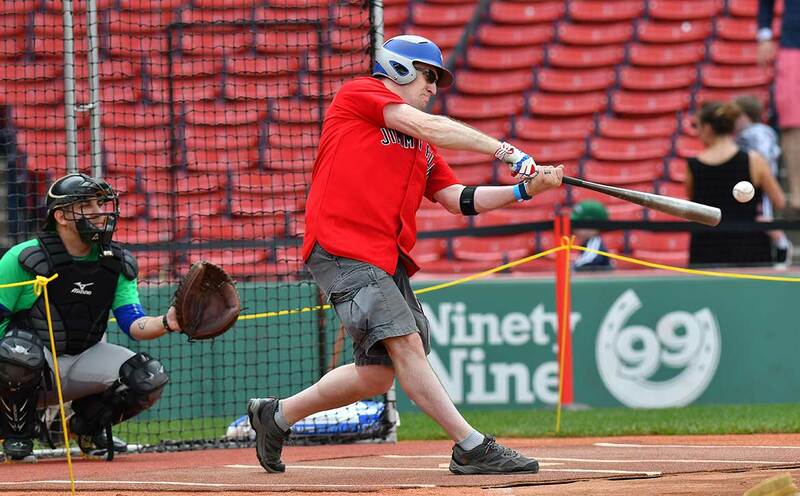 Whether you are looking for a company outing or want to get the ultimate baseball experience, participate in Fenway Fantasy Day and join others to raise vital dollars. Whether you’re up to bat or steps away from the Green Monster, live out your dreams at Fenway Park just like your favorite players. Take a swing at cancer with the Executive Home Run Derby, or engage clients and employees in the perfect company outing. With your generosity, a Dana-Farber patient will enjoy the unforgettable experience of taking the field at Boston’s beloved ballpark. Dana-Farber Cancer Institute provides expert, compassionate care to children and adults and is home to groundbreaking cancer discoveries. Since its founding in 1948, the Jimmy Fund has raised millions of dollars through thousands of community efforts to advance Dana-Farber’s lifesaving mission. Contact Rob Hendrickson, Fantasy Day Manager at 617-582-8342 or FantasyDay@dfci.harvard.edu.